What do you really know about those appearing in your Twitter stream? Chances are, not much. That may change thanks to solutions such as Discoverly, a cross-platform social networking tool that recently announced it now layers Facebook and LinkedIn data on top of Twitter, enabling users to see their social connection to influencers without leaving the stream. "Twitter is phenomenal for sharing information but has little knowledge of relationships. You can find influencers but without a warm introduction they're hard to engage. We made it possible to see your Facebook & LinkedIn connections within Twitter," said Discoverly CEO Ted Summe. The relaunch of Discoverly's Chrome Extension provides an aggregate view of social data on the three networks. 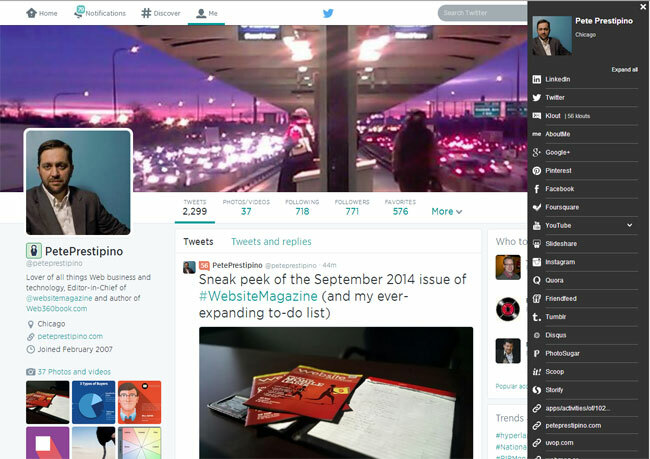 With the upgrade, the tool now shows user tweets from within Facebook and LinkedIn. Reciprocally, on Twitter profiles it shows mutual Facebook and LinkedIn connections.